Top Steamer™ specializes in commercial carpet and upholstery cleaning services in Doral. Our powerful cleaning process removes all dirt from your office carpet or upholstery. 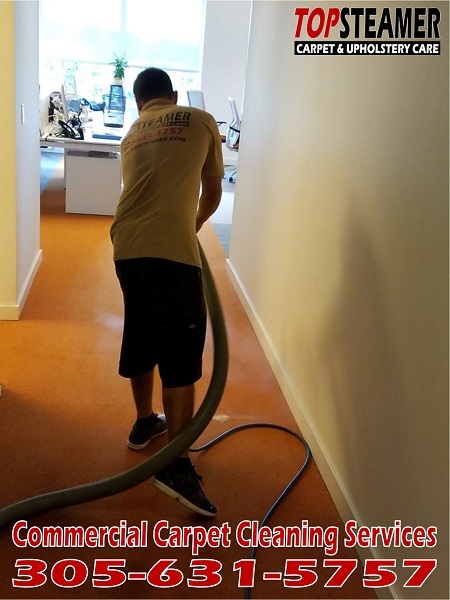 With our professional carpet cleaning your carpet will have more years of usable life and create a healthier indoor environment for employees. We clean upholstery, rugs, cubicle panels, carpet, tile and grout, mattress and yacht carpet.